Saturday, ARPC conducted its second Tactical Carbine Clinic this year with 10 participants. It was a full 8 hours of shooting and running drills. Shooters learned how to perform drills outside their comfort zone and test their limits while shooting and moving. I appreciate all of the folks coming out with open minds and great attitudes. I took comments at the end and will make changes for the next time around. Sunday, ARPC conducted a 3 Gun event with more than 20 participants. The beautiful weather was in the 80’s and perfect for the event. We voted in a new member, Nik, on the range. Miguel brought some fantastic Mexican food from his restaurant for all to enjoy. The shooter’s event times were competitive. Most participants were able to run the event at least 3 times. I’d like to thank all of the folks that made this possible for the weekend. Without our great member volunteers, we would not have been able to offer these great events. Hi everyone! It feels like fall is upon us, which means it’s the perfect season to welcome some new shooters to the sport! The final 2016 session of the Meade/Arlington Women on Target Pistol Shooting Clinic is Saturday, 29 October at the AGC in Marriottsville, and as always we need our wonderful volunteers to help make it happen. If you would like to volunteer, please review the job descriptions below and reply to let us know which position(s) you would be interested in (or, any you would really NOT be interested in). If you have any special considerations (for example, if this is your last chance to get NRA instructor credit this year) please let us know. We’ll take a look at all the responses and put together our volunteer roster to make sure we have all our bases covered. Video about the 43rd Bomber Group that had its reunion at the AGC. The 43rd Bomber Group, comprised of WWII veterans had its reunion at the AGC. Many Arlington members supported this event. 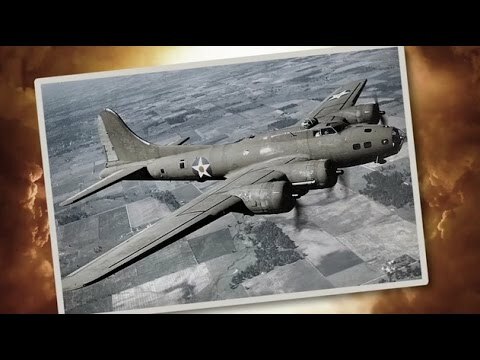 Here is a youtube video about the bomber group and a link to preorder the book Lucky 666, which details its most famous mission. You will need a pistol holster, mag holders, minimum two magazines for each gun. Full coverage ballistic eye protection and hearing protection is required. AGC holster certified participants will be able to draw loaded firearms. Others will need to draw then load at the pistol stage. Start time is around 0900 for the safety brief. Setup will begin at the shed around 0815. Course of fire will be determine the morning of the event. Magazine load out is the shooters choice and is unrestricted. Volunteers are welcome to help with the steel. No one shoots without a safety brief. This is a 3 Gun event and not an event to test fire guns or practice on your own. The course of fire will be as such to keep a good flow and minimize sit around time. Everyone will get to run the stage multiple times. There is a $10 donation for the ARPC steel fund for each participant. Food will be cooked on the range for donation as well. Any questions, please send me an email through the Executive Officer email link on the Arlington Rifle and Pistol Website. Arlington Rifle and Pistol Club will be hosting an Invitational Tactical Carbine Clinic on the AGC 200 yd range, Saturday 29 October 2016, 0800-1600hrs. What: The clinic is tailored for shooters to improve accuracy and speed for tactical or competition purposes. The focus is on shooter movement, firearm controls manipulation, target transitions, barricade work, malfunctions, optics and sight adjustment, gear setup, stress shooting and more. This is a fairly physically demanding event that involves running and being on your feet all day. We will probably break for a small lunch at noon. It will be fast paced. We have 14 seats. There is a $100 fee for the clinic. Last year, the seats filled up very quickly. It is a full day event and shooters must be there from the beginning of the event to participate. This is a closed event to spectators. All of the details will be given once all the participants are identified. If you are not sure if you qualify or have another AGC club member in mind, contact me via the Executive Officer Club email address on the ARPC website as soon as you can. Please come out and support the AGC Range Day Clean up Sunday, October 16th, 0800-1200 (rain or shine). The AGC has several projects that can only be completed by a large number of volunteers. You can earn 4 hours range badge credit, which will reduce the amount you have to pay for your 2017 range badge. The 2017 range badge will cost $170. If you come out on Range day, you will earn approximately $17 or 10% of the cost of your range badge. It isn’t much, but it is a small recognition for your contribution. Anyone who wants to earn a free range badge for 2017 can volunteer 40 hours. I will be working on one of the projects that will place railroad ties along 40 positions of the 100-yard range. We will be bolting brackets to the back of the ties that will hold target frames. We need people to help level the brackets, mark the holes, drill the holes, and bolt the brackets on. Many hands make light work. There will be a lot of other projects on the range that the AGC needs help with. Please come out and show the flag for Arlington. Please send Pat K. an email to let him know you are coming: cpatk. The day begins with an early breakfast, followed by assignments and break out to respective work areas. We’ll labor till noon. Lunch for all who participate will be offered. Mark your calendars. Look for additional details in your e-mail. We will be compiling a list of tasks over the next few weeks. If you are interested, please RSVP to cpatk. Reminder: Our monthly meeting is Wednesday October 12th from 7:00 – 9:00 p.m. in Memorial Hall. Dan Cox is a 2016 Republican candidate seeking election to the U.S. House to represent the 8th Congressional District of Maryland. Dan is running against Jamie Raskin, More details are available here, https://ballotpedia.org/Dan_Cox_(Maryland). ** You may remember that Jamie Raskin is the representative who was caught playing chess on his computer while pro 2A witnesses were testifying against the 2013 Firearms Safety Act. Our club meeting will give you the latest AGC news and upcoming Arlington events. Bring your show and tell items. We will also be giving out door prizes. There will be a swap meet at the back of the room, so bring items that you wish to sell, trade or give away. Saturday’s Fundraiser frame build benefitting our Juniors program will be in the new Maintenance Building that is next to Memorial Hall starting at 9:00 a.m. The AGC is almost out of target frames again, so we need to have this unscheduled frame build. No tools or special skills are required. We build the frames on an assembly line basis with each person performing one or two simple tasks. It is a lot of fun and we get to help the kids in our Juniors Program. Anyone who comes to help build frames can buy a frame at a significant discount, our cost. Reminder: We will have a steel plate pistol shoot Sunday from 9:00 a.m. to 3:00 p.m. Standard caliber handguns, no magnum, for shooting at the steel targets. Saturday, October 8th Emergency Frame Build – from 9:00 a.m. – 12:00 p.m. at our Club shed. The AGC is running out of target frames. We need to have an emergency frame build to meet the demand. This is a really fun activity and gives you a chance to help our Juniors program. The frames are built on an assembly line basis. No tools or special skills are required. Each person performs one or two simple tasks. Club members who help with the frame build can buy a frame at cost. Wednesday, October 12th, Club Meeting from 7:00 p.m. – 9:00 p.m. – in Memorial Hall. We will discuss upcoming events with the club and at the AGC. There will be a swap meet at the back of the room. Bring any items that you want to sell, trade or give away. There will also be a show and tell time for club members to share their latest acquisition or interesting items with club members. Saturday, October 15th, Frame Build – Cancelled due to the October 8th build. Sunday, October 16th – AGC Range Day – The AGC will be having its range maintenance day. Arlington always makes a good showing of volunteers. Come out and give a hand and earn 4 hours of range badge credit towards your 2017 range badge. Saturday, October 22nd, 3 – Gun Shoot at the 200 yard rifle range from 8:30 a.m. to 3:00 p.m. The course of fire details will be sent out in a separate email. Saturday, October 30th – 3- Gun Shoot with Greenbelt from 9:00 a.m. – 3:00 p.m. The course of fire details will be sent out in a separate email. * Wednesday, November 9th, Club Meeting in Memorial Hall. You will be able to renew your range badges. The 2017 range badge fee is $170. Additional details will be posted before the meeting.